Every day, Moriah's seniors can choose between a variety of physical activities including chair dancing, instructor led exercises, walking club, pilates and yoga. Music, crafts, and computer classes as well as memory workshops, book club and discussion groups keep mind sharp and fingers agile. Exercise equipment and an extensive book and audio book library are also available. 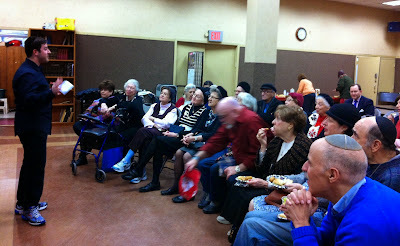 Fun activities include weekly bingo and movies. Through a generous endowment, Moriah has expanded music and arts programming. A concert series, free and open to the entire community, has already featured operatic performances, a chamber ensemble, woodwind quintet, barbershop quartet, klezmer duo, bagpiper and much more! Moriah offers trips to local areas of interest several times a year.